A lightweight, non-bleaching formula of the cream combines protection against harmful UV rays with active skin care and matt finish. Excellent under make-up, provides better distribution and maintenance of the foundation during the day. It prevents cell damage which may result in excessive skin oiliness. It limits the development of sun spots and postinflammatory discolorations. Provides the skin with necessary moisturising and strengthening substances. Thanks to the innovative ingredient, the PMF, it supports regenerational processes, prevents the reproduction of skin adverse bacterial flora and the occurrence of papules and blackheads. 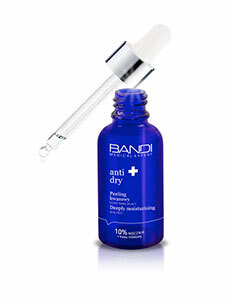 Apply to cleansed skin of the face, avoiding the eye area, for the day.